A multi-year legal battle over the ability to distribute computer models of gun parts and replicate them in 3D printers has ended in defeat for government authorities who sought to prevent the practice. Cody Wilson, the gunmaker and free speech advocate behind the lawsuit, now intends to expand his operations, providing printable gun blueprints to all who desire them. The longer story of the lawsuit is well told by Andy Greenberg over at Wired, but the decision is eloquent on its own. 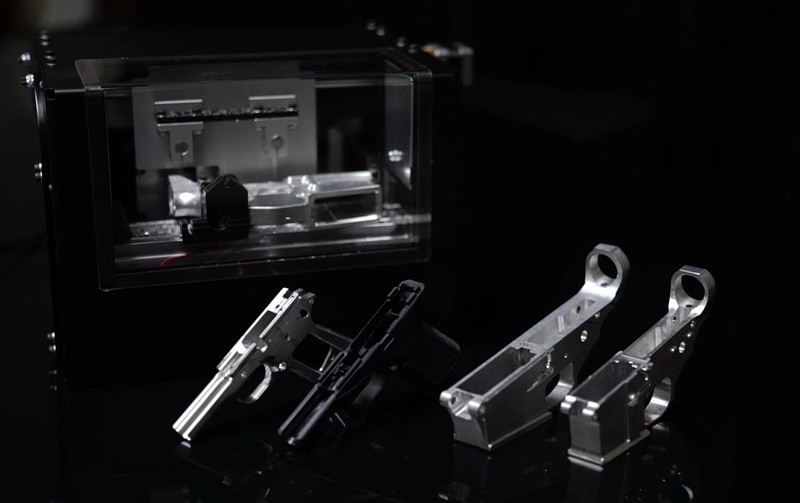 The fundamental question is whether making 3D models of gun components available online is covered by the free speech rights granted by the First Amendment. This is a timely but complex conflict because it touches on two themes that happen to be, for many, ethically contradictory. Arguments for tighter restrictions on firearms are, in this case, directly opposed to arguments for the unfettered exchange of information on the internet. It’s hard to advocate for both here: restricting firearms and restricting free speech are one and the same. That at least seems to be conclusion of the government lawyers, who settled Wilson’s lawsuit after years of court battles. In a copy of the settlement provided to me by Wilson, the U.S. government agrees to exempt “the technical data that is the subject of the Action” from legal restriction. The modified rules should appear in the Federal Register soon. What does this mean? It means that a 3D model that can be used to print the components of a working firearm is legal to own and legal to distribute. You can likely even print it and use the product — you just can’t sell it. There are technicalities to the law here (certain parts are restricted, but can be sold in an incomplete state, etc. ), but the implications as regards the files themselves seems clear. Wilson’s original vision, which he is now pursuing free of legal obstacles, is a repository of gun models, called DEFCAD, much like any other collection of data on the web, though naturally considerably more dangerous and controversial. The concepts don’t map perfectly, no doubt, but it’s hard to deny that with the success of this lawsuit, there are few legal restrictions to speak of on the digital distribution of firearms. Before it even, there were few technical restrictions: certainly just as you could download MP3s on Napster in 2002, you can download a gun file today. Gun control advocates will no doubt argue that greater availability of lethal weaponry is the opposite of what is needed in this country. But others will point out that in a way this is a powerful example of how liberally free speech can be defined. It’s important to note that both of these things can be true. This court victory settles one case, but marks the beginnings of many another. “I have promoted my values for years with great care and diligence,” Wilson wrote. It’s hard to disagree with that. Those whose values differ are free to pursue them in their own way; perhaps they too will be awarded victories of this scale. No Pictures! There’s a Reason I Wear a Mask!